We manufacture new guitars that look old. From our studio in California we've created you a new AXN™ Guitar. With tons of character and individuality this AXN™ will arrive beautifully aged as if its served you well on stage for decades. 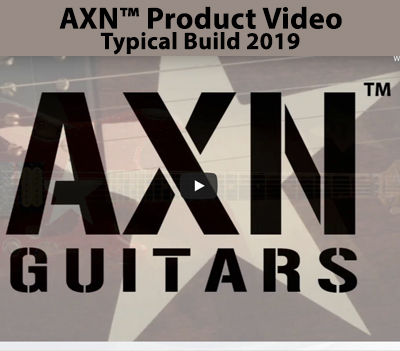 You and your AXN™ are a perfect match with every day spent together bringing you ever so much closer..
We make guitars that do one thing ... ROCK ...and every AXN™ does this extraordinarily well.